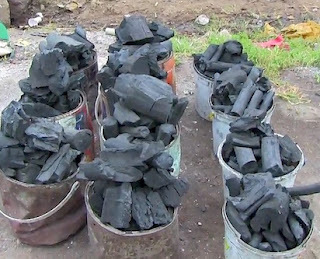 A 29-year-old man, Yusuf Adamu, on Friday, revy he makes an average sale of N200,000 monthly from this charcoal business which is higher when compared to most salary earners. Mr Adamu, who is a father to three children and a resident of Rigasa, Kaduna state told newsmen that he started the business with three sacks of charcoal valued N4,500. “I started the business three years ago with no capital; I collected three sacks of charcoal from the dealers and pay them after sale in which I deduct and save the profit”, he explained. Mr Adamu noted that he began the business by the road side, but now owns a big shop and buys 10 to 15 bags of coal for retailing. He added that he usually packaged the charcoal according to kilogram in a nylon bag and sell them at the rate of N100 to N200 to customers. When asked about his educational level, Yusuf stated that he had no privilege of going to school but was doing all he can to make sure his children got quality education.